We service all calls for estimates and repairs within 24hrs. Call or contact us today. 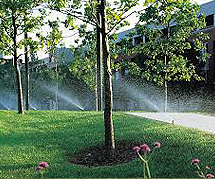 CB Irrigation Inc. is a fully licensed and insured Irrigation Contractor. We have been serving Bucks County and surrounding areas for more than 36 years. 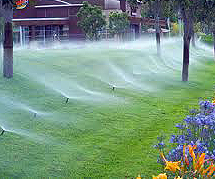 We design, install, repair and maintain every type of Irrigation and Lawn Sprinkler system on the market today. 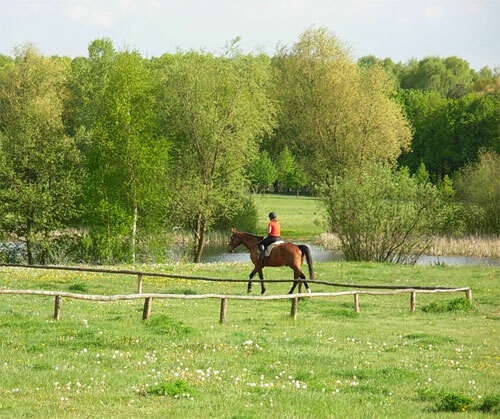 We also provide commercial irrigation services for office buildings, apartment complexes , athletic fields and indoor/outdoor equestrian farms as well. 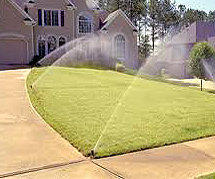 We design and install smart irrigation to manage your watering requirements. Smart irrigation are weather based controllers and soil moisture sensors that will only water when required for a healthy turf, while saving water and money. We also incorporate trenchless installations.This process slices the existing lawn and at the same time pulls the pipe underground making for a neat and clean installation. We only install professional grade irrigation products with solvent weld PVC pipe on all our water mains and laterals. Professional grade material provides for a low maintenance longer lasting lawn sprinkler system. All of our installations carry a one year labor and material warranty, with a five year manufacture warranty on all controllers, electric valves and spray heads. 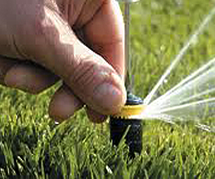 Our professionally trained team is experienced in trouble shooting and repairing all brands of irrigation systems. If you currently have a system that was installed some time ago, and are having issues with it, please contact us immediately. We service all calls for estimates and repairs within 24 hours. Spring Startup has begun and we are continuing to schedule now through the start of Summer. Always great to get on the schedule sooner than later, and hopefully Mother Nature plays nice throughout the Spring and as Summer approaches. Call us to schedule your Startup or for any maintenance, installation, updates and more! Also feel free to check out our Blog! Don't forget about our year round referral incentive below! Any existing or even new client that refers us a brand new customer who we install a system for, will receive either FREE Winterization or FREE Startup Service depending upon the time of Season! We appreciate referrals, and we thank you for thinking of us! 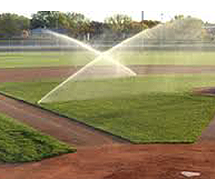 We look forward to serving you this Irrigation Season! "Your guys did a great job! The controller issue was really about the rain sensor not being hooked up. They mentioned a wireless sensor for next year and I may do that although I check the weather frequently and change my watering days accordingly. They replaced a couple of heads that were leaking and moved a head for me to better cover grass. You have some very good guys working for you Paul – kudos to you!!. Thank you very much Paul!!"